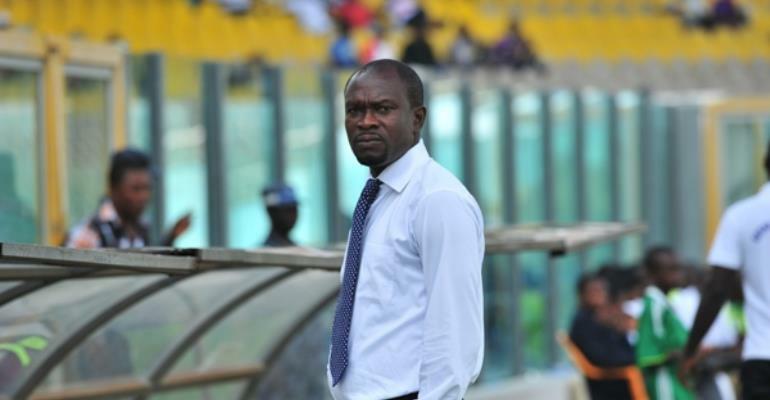 Head Coach for Kumasi Asante Kotoko, Charles Kwablah Akonnor has called on the Ghana Football Association (GFA) Normalization Committee (NC) to as a matter of urgency see to the resumption of the local league. There has been no competitive league football on the local scene since the airing of the Anas Aremeyaw Anas Number 12 video last year June. The situation remains the same after almost 9 months despite efforts by the NC and government to make arrangements to engage clubs in a special competition. Speaking to the media after Kotoko crushed out of the CAF Confederations Cup last Sunday, coach Akonnor says he is hoping local competition will resume pretty shortly. According to him, bringing back the local league will be vital for the progress of his team which he believes have performed remarkably well in the continental competition. “Well I think that we have to go back home and reorganize ourselves. It is important that we start the league very soon. The inability that the league is not going on is a major problem and I will love for us to continue with a bit of competition so that the team can be ongoing”, CK Akonnor shared. He further stated that if the situation does not change after about a month, it will be a major problem for his side. He is bent on keeping the shape and fitness of his squad so as to avoid any rustiness in any of the players. “But if we go back and within a week, two weeks, three weeks and nothing, it is going to be a major problem for us”, he said. Meanwhile, reports indicate that the proposed Special Competition by the NC will commence before the end of this month.